Physical therapists are focused on one goal: getting their patients back to health! They shouldn't have to worry about being misidentified when going on home visits, or about declaring themselves to every patient they see. 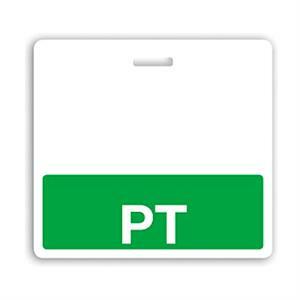 Make it easier for these personnel to be identified by issuing these green Badge Buddies for physical therapists! 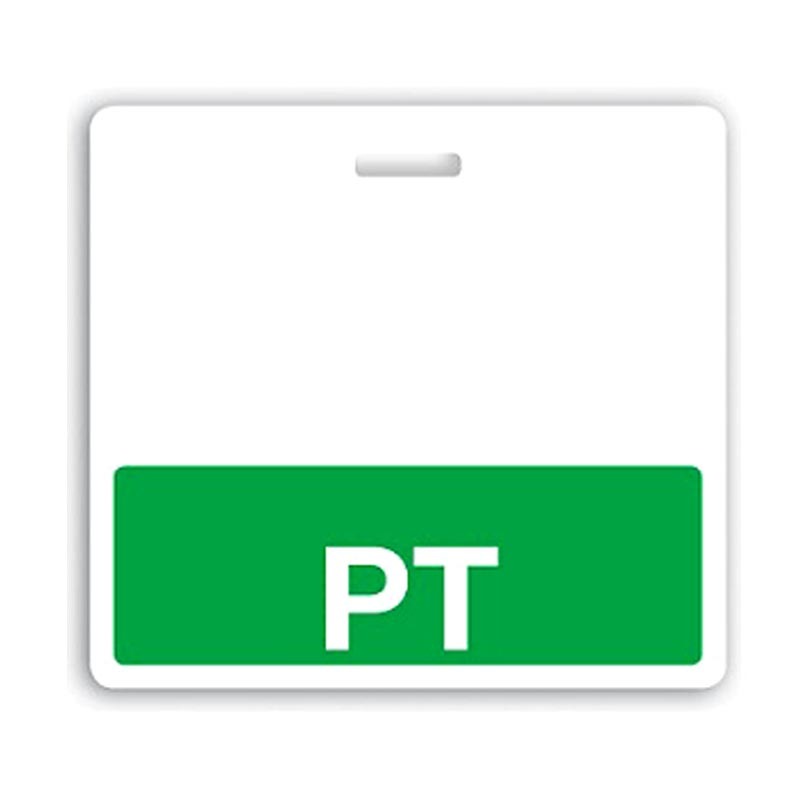 Badge Buddies are Synthetic Paper role-recognition cards that use bright colors and bold text to display a worker's title. By using Badge Buddies, everyone will be able to see with a quick glance that the wearer is a PT, making things easier on patients, guests and staff. By using Badge Buddies, you're eliminating confusion for your patients. Badge Buddies add role recognition to any ID program without requiring the issuing of new badges. In many cases, Badge Buddies can be used to satisfy state healthcare ID laws (including HB 1482 in Pennsylvana and HB 2897 in Texas). With Badge Buddies, your patients and PTs will be able to focus on the common goal of feeling better, without worrying about ID.